If Wild Card Weekend didn’t go your way, fear not, players! 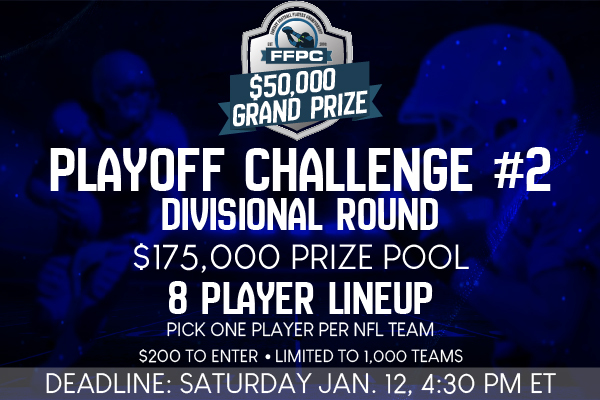 We’ve launched the inaugural 2018-19 FPC Playoff Challenge #2 running from the Divisional Round to the Super Bowl! You’ll be able to pick eight players to form a lineup that will (hopefully) cash a $50,000 grand prize after the Lombardi Trophy has been awarded. IMPORTANT: You’ll have two empty spots on your roster, as you are only picking eight players in this contest, and not 10. Sitting in first place after the opening weekend of the 2018-19 World Famous Playoff Challenge, is The Godfather III owned by Jason Aberli. Led by Allen Robinson’s 30.3, the Godfather also got big-time performances from Ezekiel Elliott (26.9), Lamar Jackson (22.1) and Michael Badgley (20.4) en route to a one-week score of 121.5. Since GDF-II lost three players this week instead of two, it remains to be seen if it can hold its lead over the teams just behind it. Jamey Joseph’s ROJO is just 4.5 points off the pace in second place with Jorge Rodriguez’s Beehives sitting in third. The Raineyators–owned by Todd Karfs–are in fourth with Matt Minor’s Jawbone Kureker rounding out the top five. 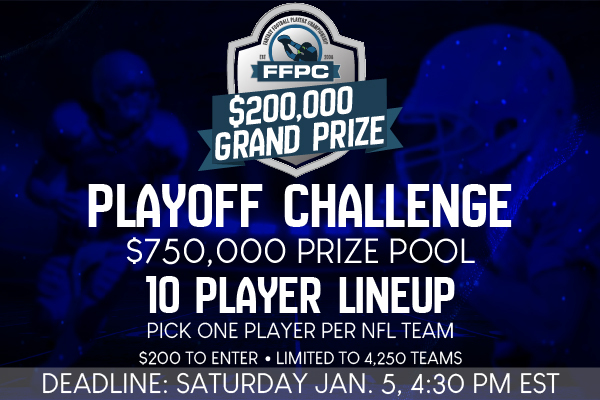 The 2018-19 World Famous FFPC Playoff Challenge is in full swing, and many of you have asked us to see how the entries stacked up in regards to the percentages of each player owned. We are happy to bring that to you. 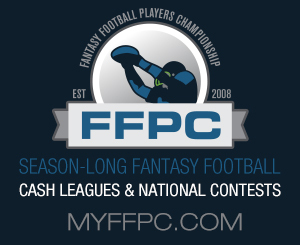 Just click on the link here to go right to FantasyMojo.com and see how many people owned each player. Good luck, players–only seven games to go! Thanks for reading, everyone! 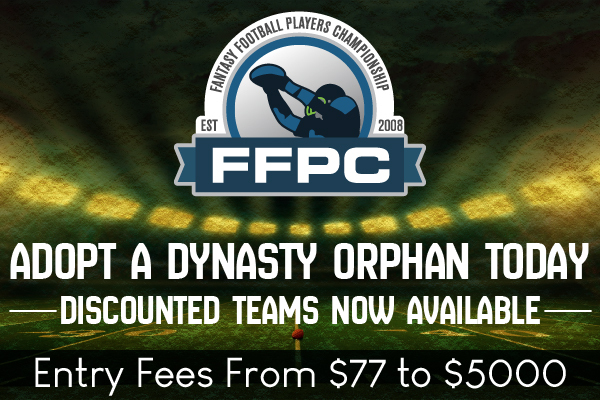 And don’t forget to register for the FFPC Playoff Challenge #2 before it fills up!